Up until the 78th minute this was a comfortable Spurs performance. The home side hardly had to break stride to go two goals clear of a Villa team in limbo. This entry was posted in Match Reports and tagged Aston Villa, Harry Kane, Premier League, Spurs, Tottenham Hotspur on November 2, 2015 by Jon @ AnythingButPenalties. This entry was posted in Match Reports and tagged everton, Harry Kane, Premier League, Spurs, Time Howard, Tottenham Hotspur on August 30, 2015 by Jon @ AnythingButPenalties. 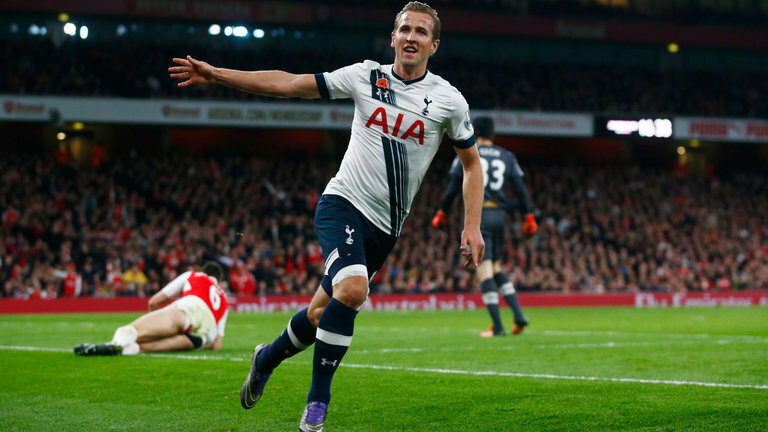 This was a crazy seven goal shoot-out that Tottenham edged but only just. Great entertainment but not necessarily a repeatable way to win games. Going forward there were some promising moments but defensively the same weaknesses resurfaced. This entry was posted in Match Reports and tagged Harry Kane, Kyle Walker, Leicester City, Premier League, Spurs, Tottenham Hotspur on March 22, 2015 by Jon @ AnythingButPenalties. “It’s happening again” sang the West Ham fans as their team went 2-0 up at White Hart Lane, a ground where they were victorious twice last season. In a way they were right, as for the second time this campaign, Tottenham scored an injury time goal to break Hammers’ hearts. This entry was posted in Match Reports and tagged Harry Kane, Premier League, Spurs, Tottenham Hotspur, West Ham on February 22, 2015 by Jon @ AnythingButPenalties. This entry was posted in Match Reports and tagged Harry Kane, Liverpool, Premier League, Spurs, Tottenham Hotspur on February 14, 2015 by Jon @ AnythingButPenalties.